1) Process Bliss lists all your processes as templates. 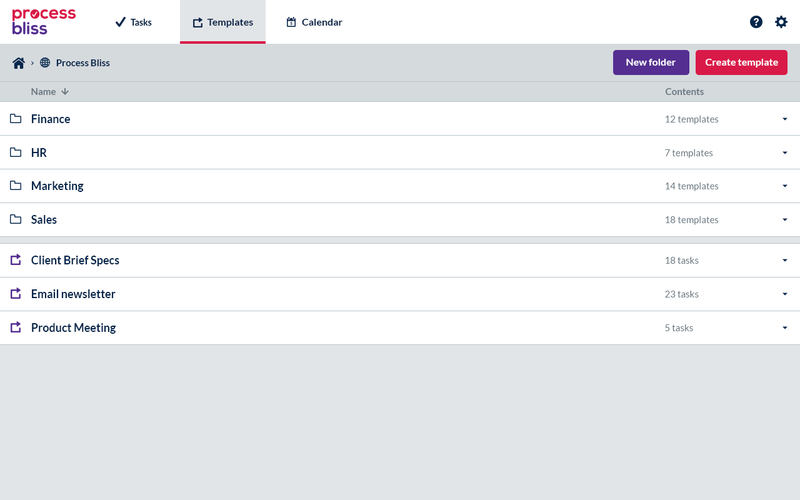 It may seem simple, but just having a list of all your processes documented in one place is extremely valuable. 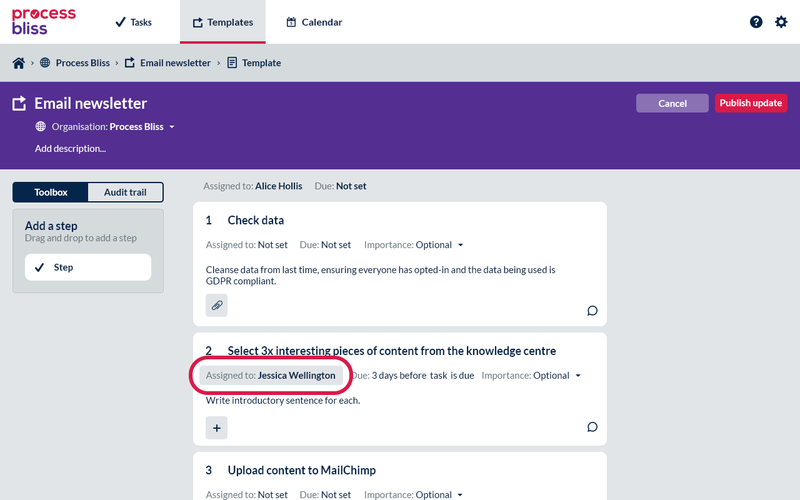 Now everyone has a common understanding of the way things are done in your organisation, and new people entering the organisation can get up-to-speed quickly. 2) Process Bliss aids productivity. 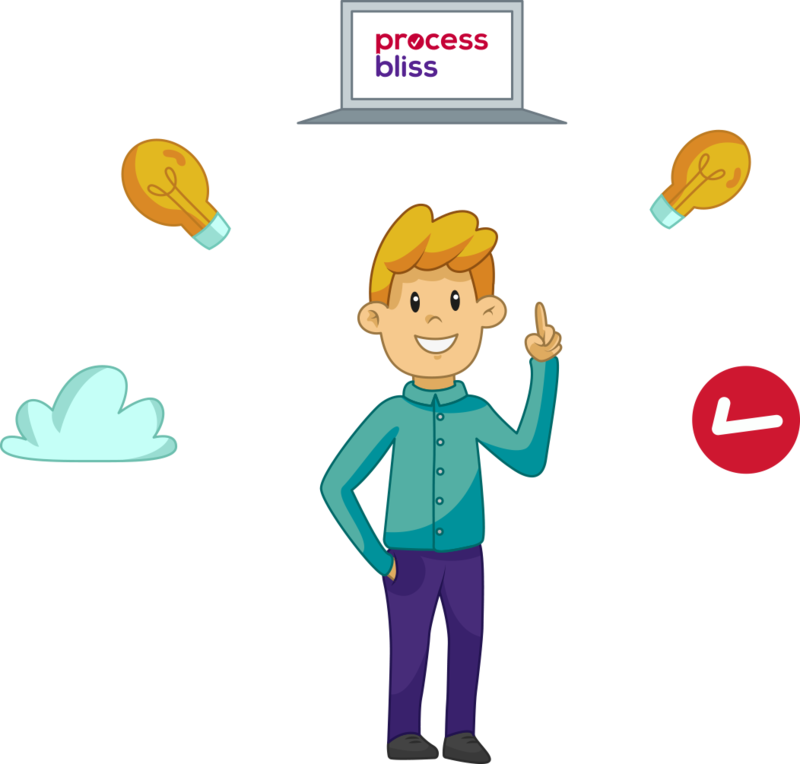 Within Process Bliss you can assign tasks to different people within your organisation, making them responsible and accountable for their completion. 3) Process Bliss automates communication. There’s no need to waste time sending emails to people asking them to do something, or chasing them for something that’s overdue. 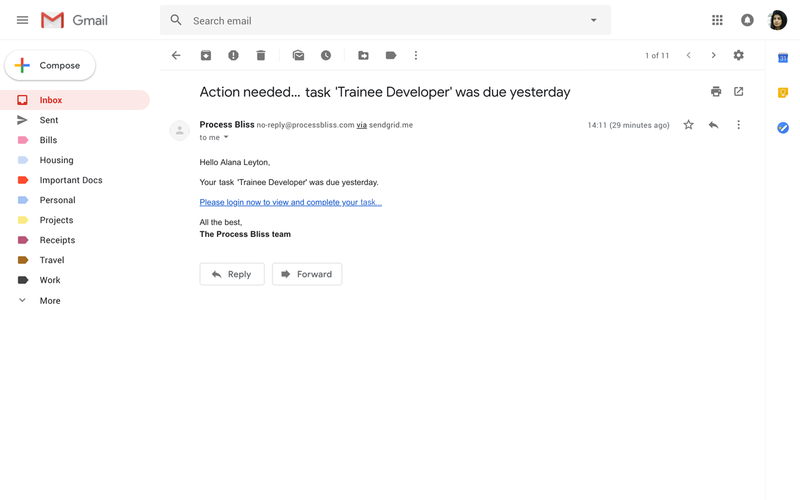 Process Bliss automates communication through system generated emails. Simply get on with your job and feel reassured that others are doing theirs. Getting started with Process Bliss is easy. Sign up for a demo or register for an account today.